When President Trump was elected, he was keen to meet Putin and had aspired to work more closely with Russia - an ideal situation. But the domestic debates and investigations on Russian interference in the elections in favour of Trump and Russian adventure in Ukraine and annexation of Crimea gave enough fire power to the deep state in the US to blunt any semblance of normalisation. Instead, the vitriolic became sharper. 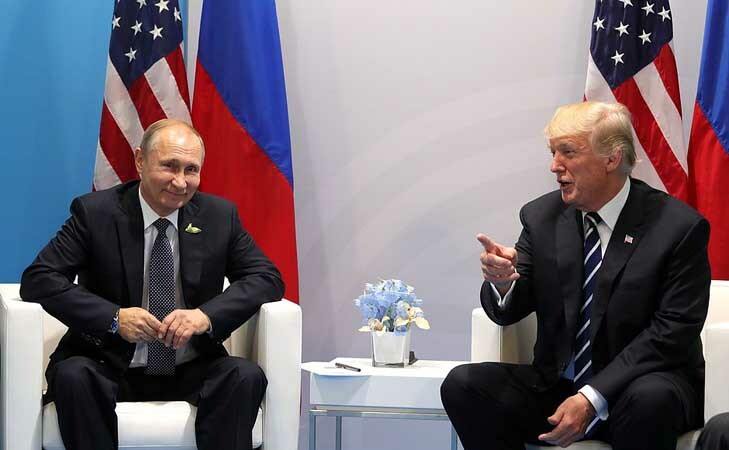 Although Trump and Putin have met at G-20 and Vietnam, when Trump is said to have raised the issue of the Russian interference and expressed his satisfaction at the Russian response that they had not indulged in undermining the US electoral process, but the issue does not go away and will again come up at Helsinki, even if for the sake of semantics. Trump has claimed that it would be easier for him to deal with Russia, and Putin and he seems ready to do business with them. This time, Trump and Putin have agreed to meet without aides and can have free and frank exchange of views on the whole gamut of their concerns and could perhaps bridge some gaps.